Translating the Bible in to English is a difficult task. The translator must make sense of meaning, rhythm, and style at home in one language, but foreign in another. Even more formidable is the challenge of creating a meaningful text that will be used and cherished by many readers and communities. Should one attempt to translate “word for word” or “sense for sense”? The answer may not be as clear as we would like. The decisions that a translator makes reveal much about his or her perspective, culture, and community. Such decisions are perhaps even more revealing when it comes to religious texts. Word for Word, Sense for Sense: The English Bible in History and Worship explores the complexities of many of history’s most significant English translations of the Bible and invites visitors to investigate the translation of such influential works as the 1611 Authorized King James Version and the Great Bible as well as the lingering legacies of translators like Isaac Watts who translated the Psalms into songs and prayers cherished by the Church. The exhibition invites visitors into a new appreciation for the history of the many English translations of the Bible and the demands of translation. This exhibition draws on the collections of Pitts Theology Library and items generously loaned by private collectors. 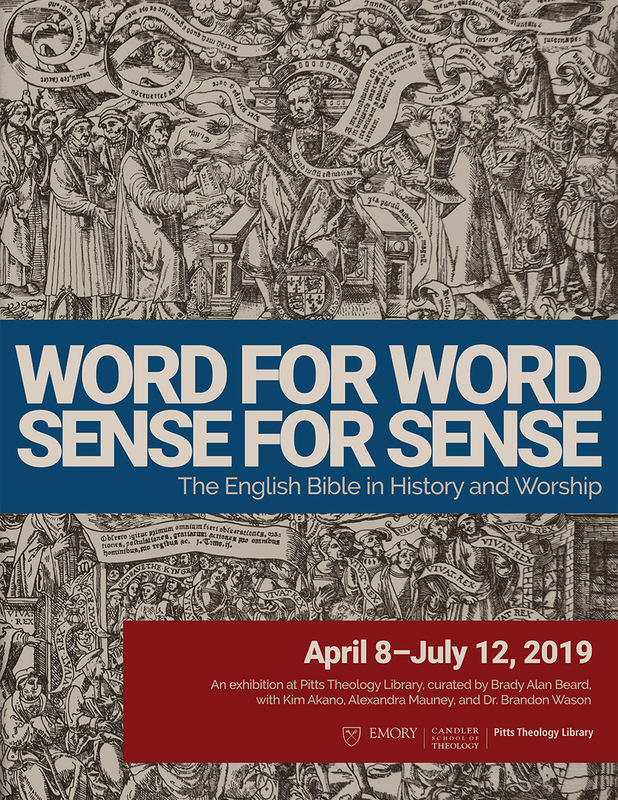 Pitts Theology Library will hold a musical event in collaboration with the exhibition Word for Word, Sense for Sense: The English Bible in History and Worship on Wednesday, April 10th at 7:30pm in Cannon Chapel. Enjoy a musical program featuring members of the Candler School of Theology and Columbia Theological Seminary communities. No registration is required, and all are welcome!